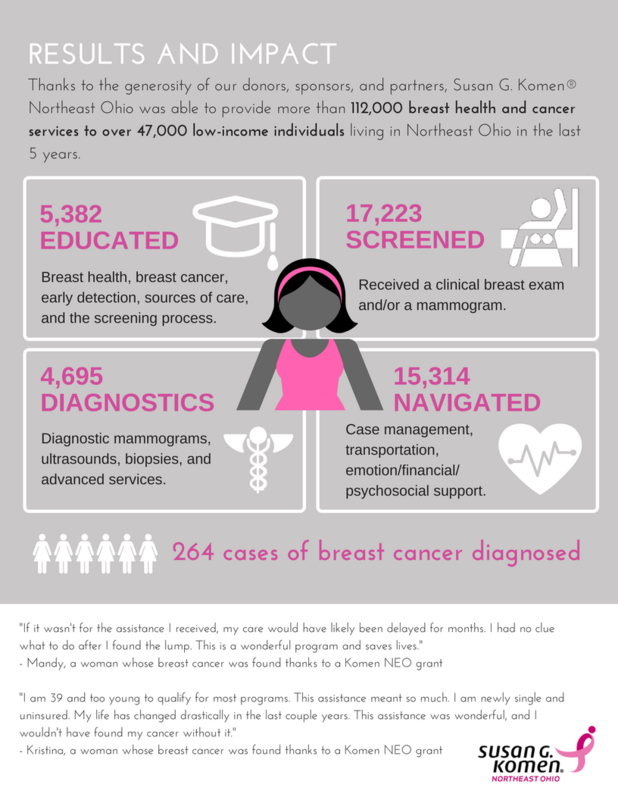 Komen Northeast Ohio is the local source of funding for breast cancer detection, navigation, and support programs. Komen Northeast Ohio is pleased to partner with the following organizations for the 2019-2020 Fiscal Year. These projects were selected by our independent Review Panel as those that will have the greatest impact in serving uninsured or underinsured individuals in our Communities of Interest. Please note that Susan G. Komen Northeast Ohio is not a direct service provider. For more information on these programs, or to find out if you qualify for free services, please contact Gina Chicotel at (216) 292-2873 x 112 or gchicotel@komenneohio.org.